Technology has become a very important part of people and among them the most important are desktops. From storing and retrieving material and accounting to simply taking down notes, desktops help us perform them systematically. Most employed people have knowledge of computers currently and this makes it an essential component in companies and businesses. However, people need not always buy desktops and because of this, renting systems has started to be a booming business in the recent years. There are different companies in different cities that deal with hiring of computers. With Jai Info Systems, you can be assured to avail the best deals for desktops for hire in Chennai. Is Desktop Rentals a Good Option? Most of us agree that desktop hiring is a good idea because you can save the money that you will spend buying desktops. This is just looking at it from a broader angle. Let us look at when it is better to rent desktops and why, and what makes renting of desktops a good business in bigger cities like Chennai. Desktops do not always remain the same, and you cannot keep using one kind for many years. This is because technology changes with every passing year and your old PC may not support the latest software. You have to be updated if you need to meet your competitions. If you opt for systems for rent in Chennai, it assures you that you can use the latest technology without having to pay the bigger amount when you buy one. When you decide to buy a desktop, you would not want to just pick one up out of the rack. You would check out at many places and eventually decide upon one. There are times when you don’t have the luxury of that much time and might need a PC quickly so that you don’t miss an opportunity in business or work. Renting a PC comes handy here, because though you may do your research before picking one, it definitely does not take as much time as to buy one. Being able to enjoy this service at a lower cost is an added advantage. 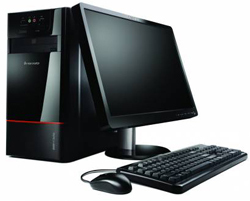 Renting a desktop helps you to understand the specifications and technology which is supported by that particular model, before you decide to buy it. It allows you to try out different models, so that you get to know the working first-hand. 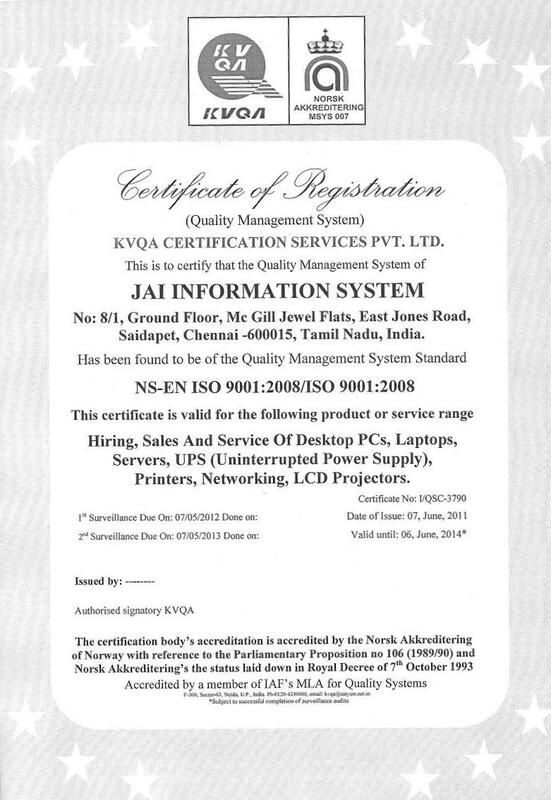 Jai Info Systems does not just help you with PC rentals in Chennai. When you decide to use their service, you can also add on what are the other peripheral accessories that you want which goes with the system and are indispensible for your business and take them along. Thus you have a bigger choice of equipments to get on rent. Renting a desktop also assures you that you need not worry about the maintenance of the machine while it is with you and you are provided 24 hours technical support from the company. Transportation, assembling and uninstalling after your use is also offered by the rental company. Many companies, big and small take systems on rent for their business as that option is cheaper, time saving and extemely convenient. One stop solution for Desktop Rentals..